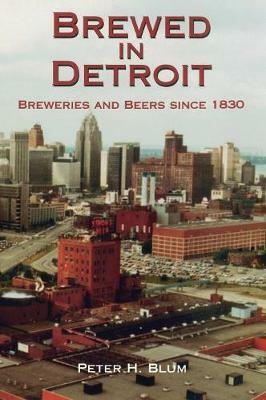 Brewed in Detroitdescribes the history of the brewing industry in the Detroit metropolitan area (including Ann Arbor, Mt. Clemens, Pontiac, Windsor, Wyandotte, and Ypsilanti) from its beginning in the 1830s to the present revival by microbrewers and brewpubs. A historian and trained veteran of the brewing industry, Peter H. Blum divides Detroit brewing history into seven distinct phases: the early Anglo-Saxon ale brewers, the German brewers who arrived after 1848, the rise of brewing dynasties in the 1880s, Prohibition, the return of beer in the era after repeal in 1933, the war years, and the postwar competition. Each brewery's story is told in terms of the individuals and families who started the enterprise, and chronicles their fortunes and failures. The book concludes with a compilation of every brewery in Detroit of which there is a record, brand names of all beers and ales marketed in Detroit, production figures of all Detroit breweries since 1933, a glossary of technical terms, and an index.